The resulting architecture looks like the above picture. We have an event receiver and a enricher/validate/cleaner, which were written in-house in Scala/Akka and are relatively simple programs using AWS SQS as a transport channel. The data is then send to Kafka and S3. Spark uses data straight from S3 to aggregate and put the processed data back into either Redshift or S3. 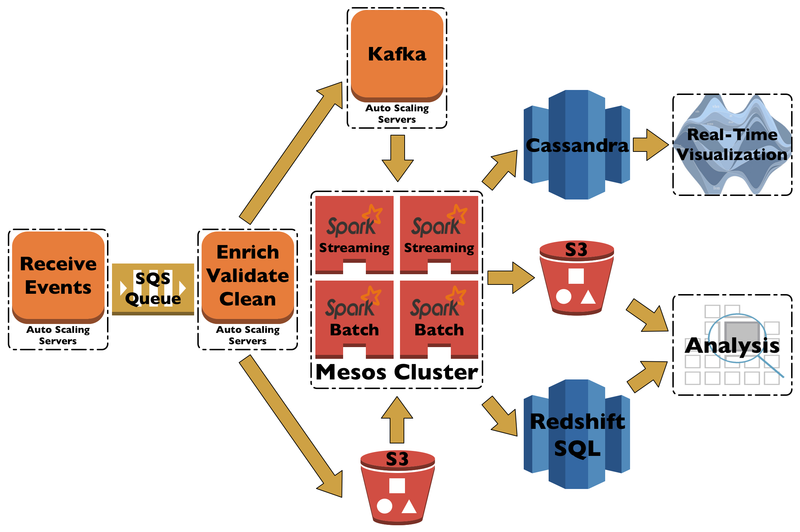 On the real-time side of things we have Kafka going into Spark Streaming with an output into Cassandra.